You help people get back on their feet… we help you stand on firmer ground. DPMs have come to rely on the services of Hippocratic Solutions for accurate and timely podiatry billing. Having years of experience delivering medical billing software and services for busy podiatrist offices, our talented professionals are skilled in all facets of insurance processing and podiatric physician procedures. If we find that the claim is not coded correctly, we will evaluate the patient’s notes. We carefully search for anything there that we could suggest to the doctor in order to avoid the loss of a payment for podiatry billing. If we do not find anything in the patient notes, we contact the office for instruction on what they would like done with the claim. Why wait for your money when you don’t have to? According to the Health Care Financing Administration, insurance claims are paid on average within a 60-90 day period; however, your money could be received in as little as 7 days. Hippocratic Solutions’ podiatry billing service expedites accounts receivable payments so your money is received in 1/8th the time! All you need is an internet connection to retrieve your podiatry billing data and more. Real-time reports give you a comprehensive look into your medical office’s state of financial affairs and are available year-round at any time of day or night. While providers are only producing reports on a weekly basis, Hippocratic Solutions knows you need to keep your finger on the pulse of your financials with instant and accurate data retrieval. 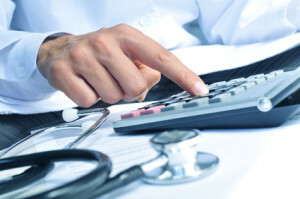 Our practice management consulting service is included in the percentage that we charge for our administrative and podiatry billing services. We sit down with the owner, partners, or office manager in order to review internal finances. When you take advantage of this service, you will learn new ways of cutting costs, eliminating inefficiencies, and improving overall practice workflow. We will also assist you in finding cheaper vendors for products, offering IT recommendations, and suggesting other modalities not currently utilized in the office to increase revenue. Furthermore, we perform a 3-month review of your coding, searching for areas in which we can improve it. We keep our clients in the loop with the latest coding trends by updating them with industry news. No matter how much you read about our podiatry billing services, we understand that it’s time and communication that build a solid working relationship. To get that process started today for your practice, please fill out our contact form or give us a call at (866) 305-3911.